Uncategories What Are The Major Components Of a Mexican Auto Insurance Policy? 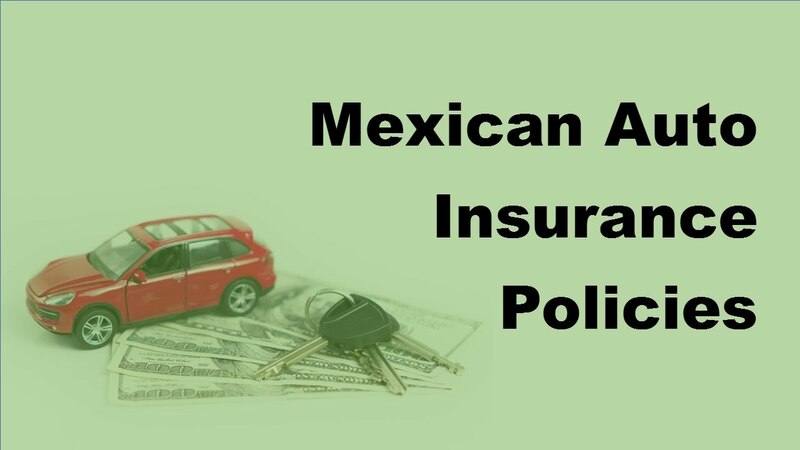 What Are The Major Components Of a Mexican Auto Insurance Policy? Where to buy Mexican auto insurance? While your American insurer can give you the best advice, you can also work with AAA, Progressive or GEICO. These large insurers have partnered with major auto insurance companies in Mexico. Purchasing a temporary Mexico auto insurance at the border is the other option available. However, getting one at the border will cost you more. So, it is always good to buy Mexican car insurance from a Mexican auto insurance company. You have received some car insurance quotes and you find that not a single one is easy to understand. This is so because car insurance is confusing. There are different types of Mexican car insurance policies providing different types of coverage. Some types of coverage are required by law while some are optional. Just like laws, the coverage also varies from state to state. Before understanding and comparing quotes from different companies, you must be aware of the different components of Mexican auto insurance. Liability insurance is the cornerstone of every single Mexican auto insurance policy. No matter in which Mexican state you are going to drive, you must have this type of coverage. Liability coverage consists of Bodily Injury and Property Damage. If an accident has caused an injury or death then the cost will be covered by the bodily injury. If your car has crashed into someone’s property or other vehicles, the damage to the vehicle or the property will be covered by property damage. Any injury incurred by the driver or passengers of the vehicle will be covered by medical expenses or personal injury protection policies. In case you are hit by a driver with very limited insurance or no insurance, uninsured/underinsured motorist insurance will cover you. If your vehicle is involved in an accident and it is your fault, your collision coverage policy will cover the damage caused to your vehicle. If you want to cover damage incurred outside of a collision, you will need comprehensive coverage. This policy will cover non-collision damages such as theft and vandalism. Comprehensive and collision auto insurance coverage can be optional as usually it is not required by states. Still, it will be good for you to have these types of insurance coverage. The insurance company will consider what your vehicle is currently worthwhile processing a claim. This insurance policy covers the difference between what the insurer is considering and what you still owe on it. This insurance coverage protects you against depreciation.